What Makes Attorney Raffi K. Kevorkian Uniquely Qualified To Represent You? Raffi K. Kevorkian is the founding partner of Kevorkian | Madenlian Law Offices, a personal injury firm initially established in 2005 as the Law Offices of Raffi K. Kevorkian. 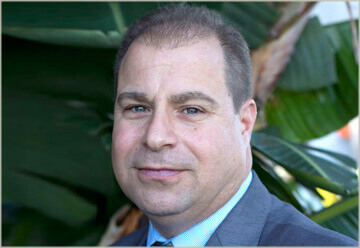 Mr. Kevorkian started his legal career in 1990 (then only 18 years-old) working for a major Los Angeles personal injury firm initially as a bookkeeper, law clerk and ultimately as an associate attorney working aside Garo Mardirossian, Esq. (his cousin and godfather) and the late Charles B. O’Reily, Esq. affectionately referred to as “Charlie O”. His years of experience and knowledge learned “on the job” far surpassed his years of law school education. While there he worked on major cases involving injured victims in automobile accidents, product and premises liability matters against major auto manufacturers, corporations and state and local governments. In Gozukara v. Ford Motor Co., a matter involving a family who suffered life-altering injuries including paraplegia and the loss of an unborn child in a Ford Explorer rollover in Barstow, California, after extensive litigation Raffi was able to find the “smoking gun” document attorneys dream of. This lead to a seven (7) figure settlement with the State of California over the road design negligence thus narrowing the focus of the matter on Ford Motor Co and its dealer. In those last ten plus years, Raffi has successfully tried to verdict or obtained awards and settlements for those whom he has represented in the great seven digits by getting to know those he’s represented. Raffi obtained his bachelor’s degree from California State University Northridge and after two short years of law school in an accelerated program at Whittier Law School graduated having been awarded the Jurisprudence Award in Constitutional Law. Raffi is admitted in all courts in the State of California. Home » Raffi K. Kevorkian, Esq.